July 29th was the day of “Doyou no Ushi” of this year. As I introduced our food culture at the day last year, many Japanese people eat Unagi (Eel). 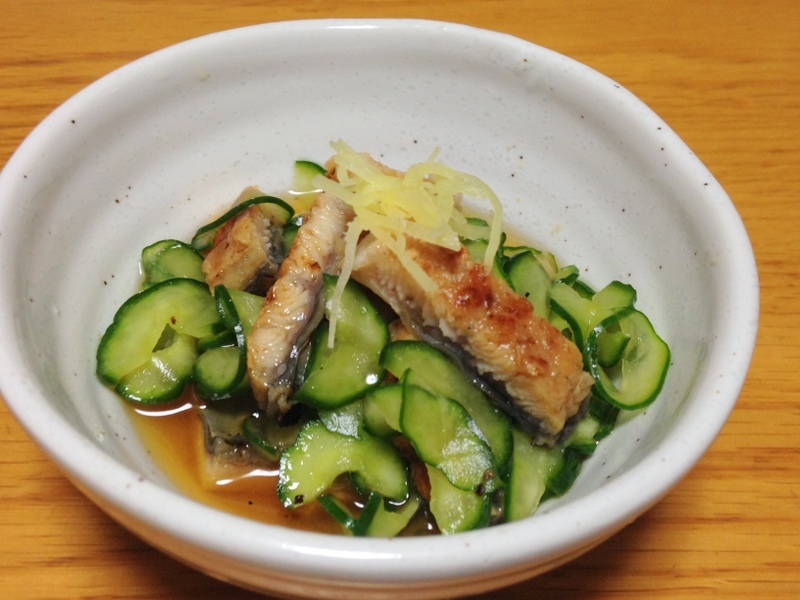 However the most popular meal is Unadon or Unaju, there are some other eel meal and I would like to introduce one this year. 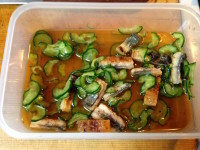 It’s “Uzaku” which is the mix of Unagi and Cucumber with the sauce of vinegar and dashi (broth). 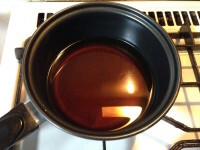 Because of vinegar, it is light taste and easy to eat even very hot summer. 1) Mix all ingredients for sauce except Dried Bonito Flake in a pan and heat. 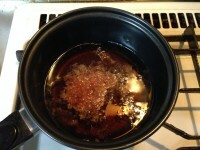 When it boiled, add Dried Bonito Flake and turn off the heat. Leave it until it becomes cool. 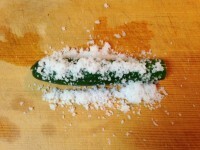 2) Sprinkle a lot of salt to the Cucumber and roll it on kitchen board with hand. Wash it with water and cut int half. 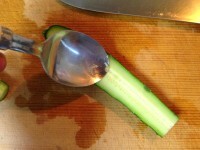 Remove seeds with using spoon and slice it about 1mm width. Leave them in a cold water. 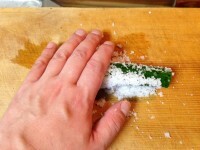 3) Cut Unagi in half and then cut it as 1cm width. 4) Mix all ingredients and add some ginger juice. Place it in a dish and add some shredded ginger on top. Then serve it. 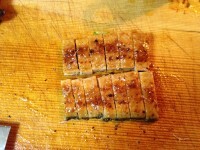 Unigi is usually sold as grilled form and it is called “Kabayaki” in Japan. It’s better to use Unagi which is sold differently from Sauce. If you will have leftover of Kabayaki, it is good to make Unadon. And you may have leftover of the sauce. In that case, it could be used for a dressing for salad. This sauce is called “Tosa-zu”. Tosa is old name of Kochi prefecture in Shikoku island. 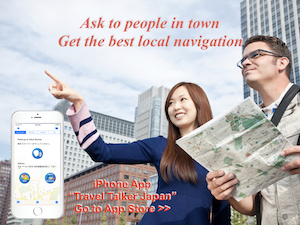 However Kochi is official name for this region currently, Tosa is still used sometimes. The reason why this sauce is called Tosa-zu is Bonito, “Katsuo” in Japanese. Kochi is the famous place for fishing bonito since old time. So some meals which is using Katsuo Bushi (Dried Bonito Flake) are named with Tosa. Tosa-zu is one of such foods. Recently, we often hear news about decreasing Unagi / Eel. It means the price will go up. 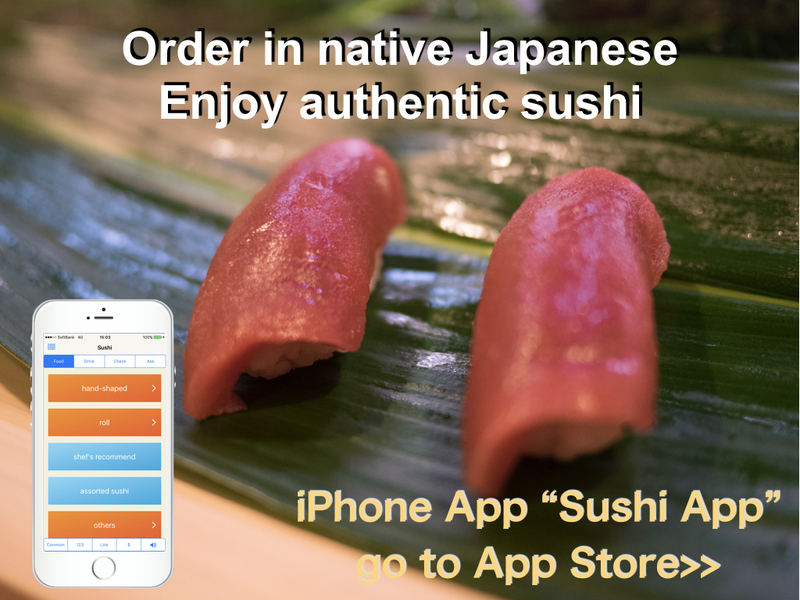 It is said that Eel is one of the mystery fish because that ecology is not elucidated well yet. I hope it is elucidated and it becomes easy to buy in the near future.